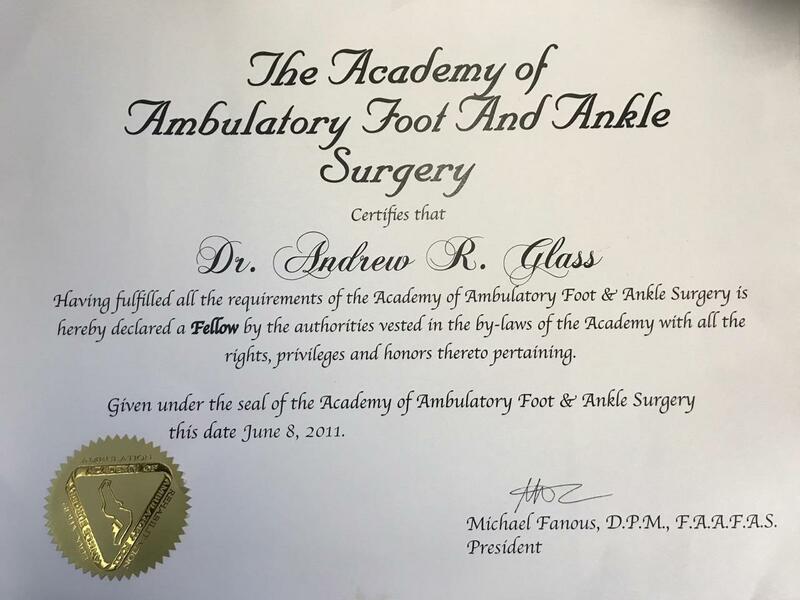 Dr. Andrew R. Glass is a podiatrist in Midtown Manhattan, New York at NY Podiatric Medicine and Surgery. He graduated from the New York College of Podiatric Medicine in 2003. From there, he went on to complete a competitive 3-year surgical residency at Wyckoff Medical Center. With over 15 years of experience, Dr. Glass works hard to combine his extensive training, personal experiences, and passion for quality patient care using state-of-the-art equipment and techniques. As one of the most recognized doctors in New York, Dr. Glass is among the first surgical podiatrists in the United States to practice minimally invasive surgery, a one stitch bunion removal procedure. Though the learning curve is steep, Dr. Glass's life experiences inspired him to practice and specialize in minimally invasive surgery. Patients in need of treatment for conditions affecting the feet can visit Dr. Glass for hammertoes, heel or ankle pain, arch pain, bunions, warts, corn, as well as sports injuries and ingrown toenails. Dr. Glass speaks both English and Spanish and welcomes new patients in his comfortable, state of the art facility. reduces recovery time in half! I have been wearing Gravity Defyer shoes for a while and I am very pleased with them. 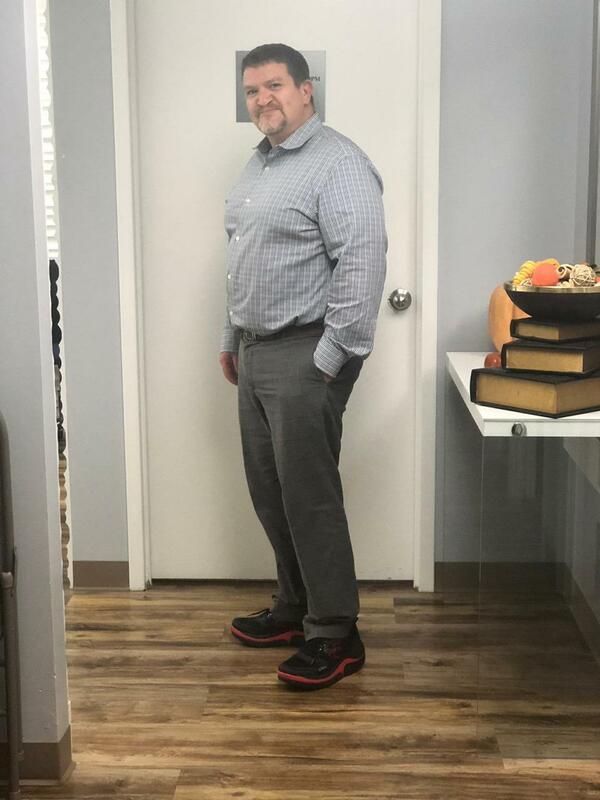 My patients, who wear Gravity Defyer shoes, are very pleased with them as well. I have had heel pain due to heel spurs so I know from personal experience what the pain feels like. The shoes provide extra support which is needed for people with flat feet and ankle instability. The [PU orthotic] also helps ease heel pain. The frame of the shoe is very supportive which is especially important for people suffering from flat feet and ankle instability. The built-in orthotic helps ease heel pain from Plantar Fasciitis. I highly recommend Gravity Defyer shoes. the Amy Marshall Dance Company!